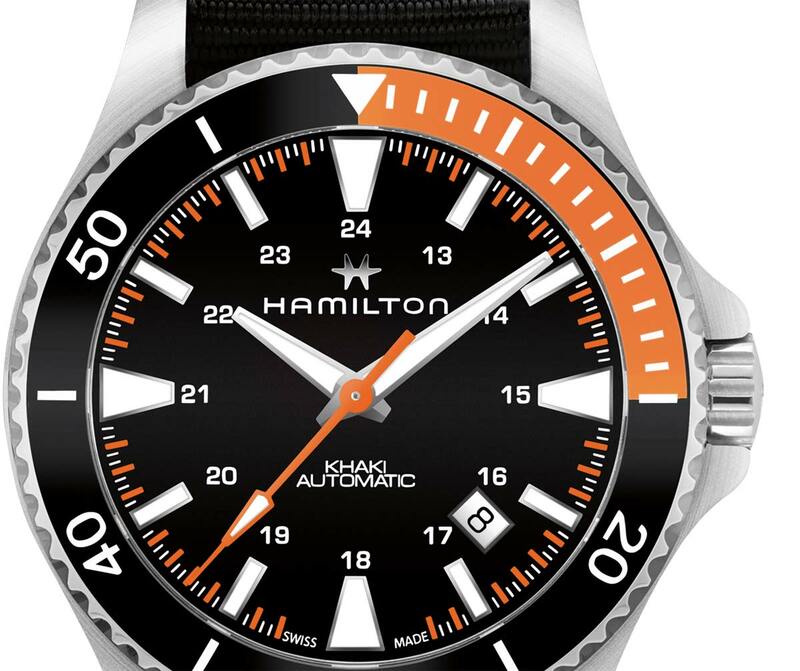 Perfect for summer days at the sea, the Hamilton Khaki Navy Scuba comes in three variations, all of them housed in a 40 mm stainless steel case. Two versions features a unidirectional rotating bezel with bright orange detail, complemented by a matching second hand and minutes track. 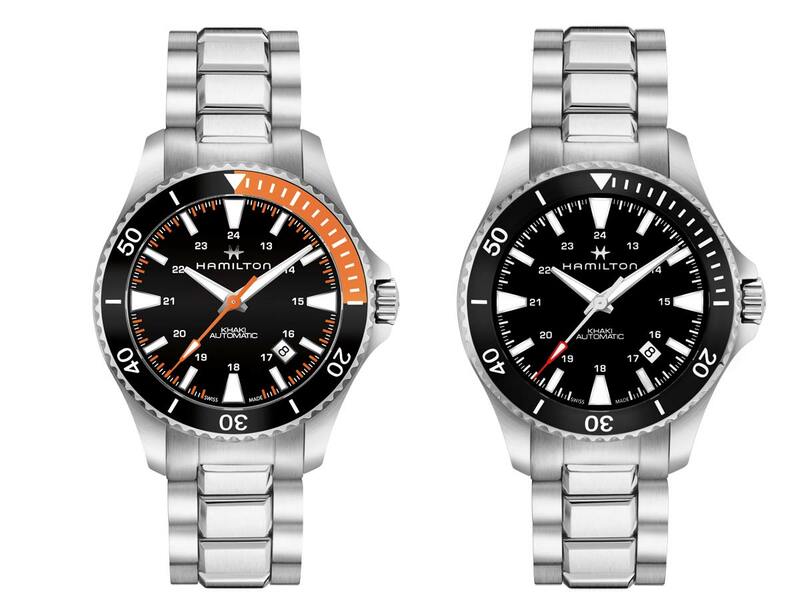 They are available with a “soft feel” NATO strap designed for maximum wearer comfort on the wrist or with a stainless steel bracelet. Additionally, a full black bezel and dial is also available and be fitted with a triple-row stainless steel bracelet secured by a smart adjustment folding clasp. 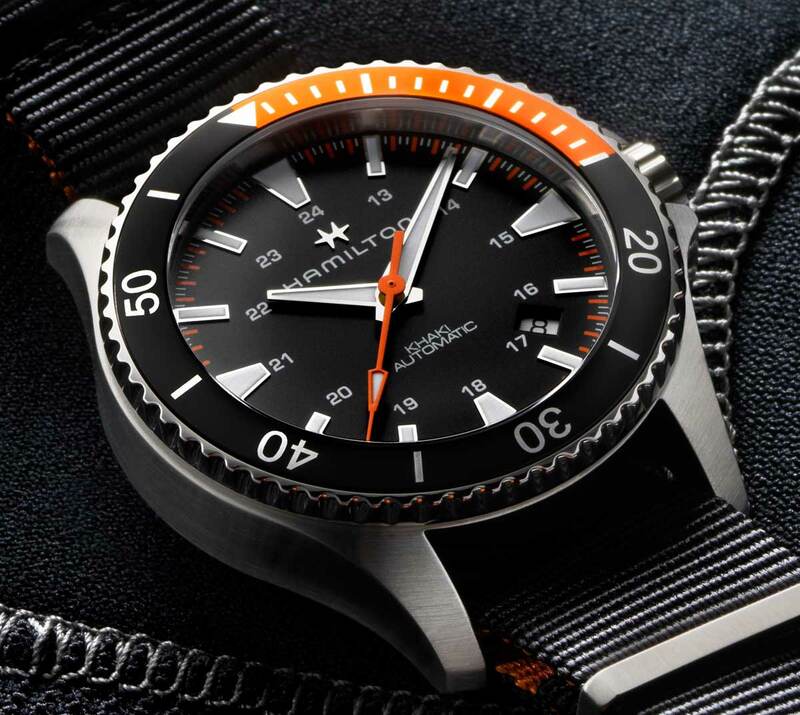 The large hour markers stand out on a crisp black dial protected by a crystal sapphire with anti reflective coating, ensuring easy reading and contributing to the powerful look of the watch. A date window at 4 o’clock completes the indications. Powered by the H-10 automatic movement with 80-hour power reserve, every watch in the Scuba line is water-resistant to 100 metres / 330 feet thanks to the screw-down crown. 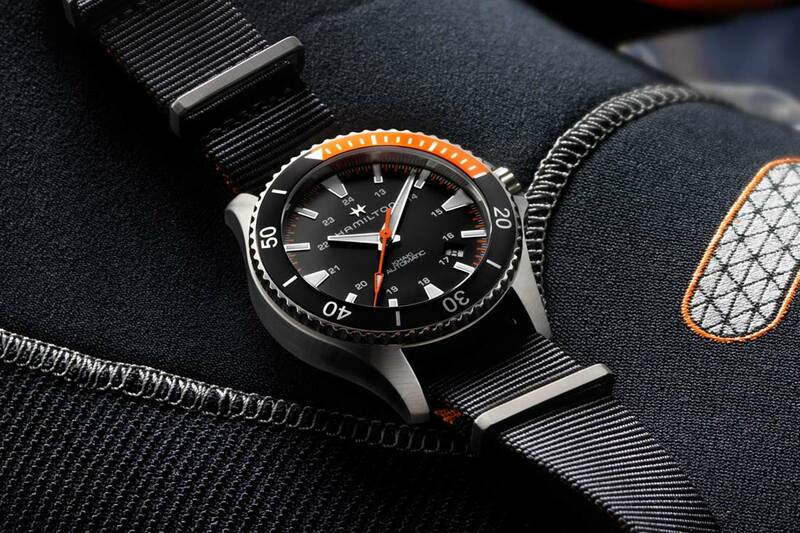 Hamilton Khaki Navy Scuba. Perfect for summer days at the sea, the Hamilton Khaki Navy Scuba comes in three variations, all of them housed in a 40 mm stainless steel case. 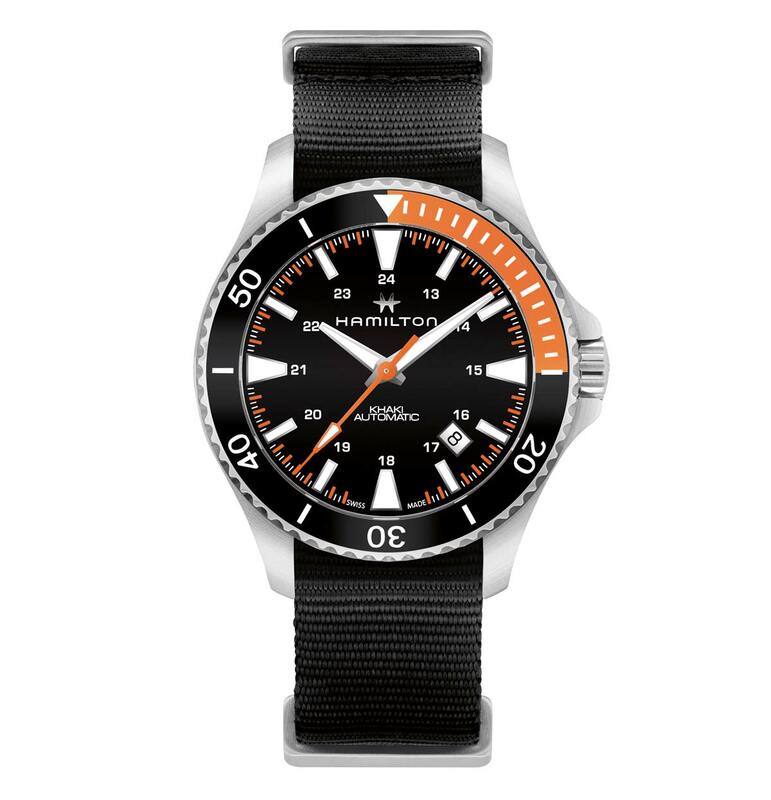 Suggested retail prices for the Hamilton Khaki Navy Scuba are Euro 645 / US$ 695 with the NATO strap or Euro 695 / US$ 745 with the steel bracelet.